The joy of parenthood begins after 8:30, at least! The Pitter-patter of Tiny Feet: yeah, but not at 5 in the morning! The joy of being a parent is hearing that special little sound of tiny naked feet softly pitter-pattering along the hardwood floor, having the tiny arms encircling your neck, and feeling the warm little cheek against yours. The image is a beautiful one, isn't it? The reality is slightly different when you're a light sleeper and you hear the "thwump!" of those tiny naked little feet hit the floor and come shuffling in your direction at FIVE in the morning. You feel the stark reality even more when those tiny little arms lift his tiny little body into your bed and pull the covers off you. 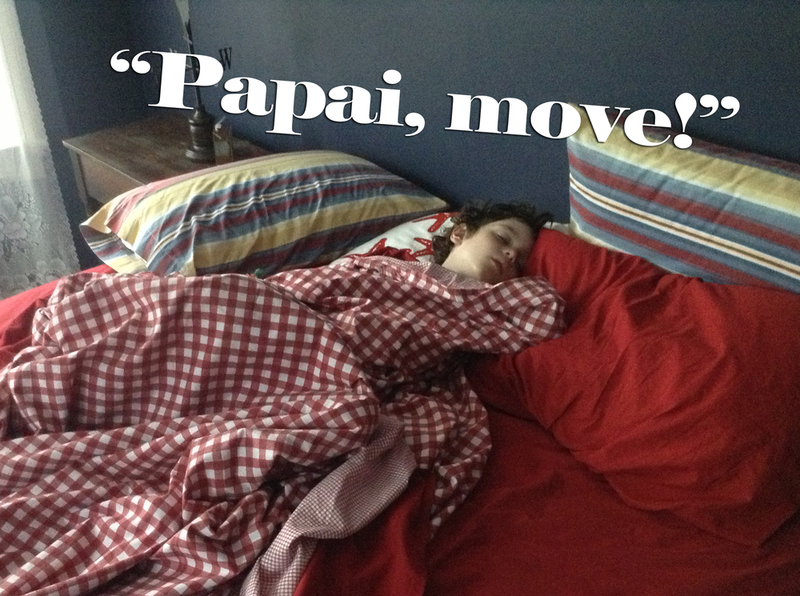 And instead of a warm little cheek against yours, you hear the imperial command in a tiny high-pitched voice, "Papai, move." Looks like I'm up!